Preheat oven to 375°F. 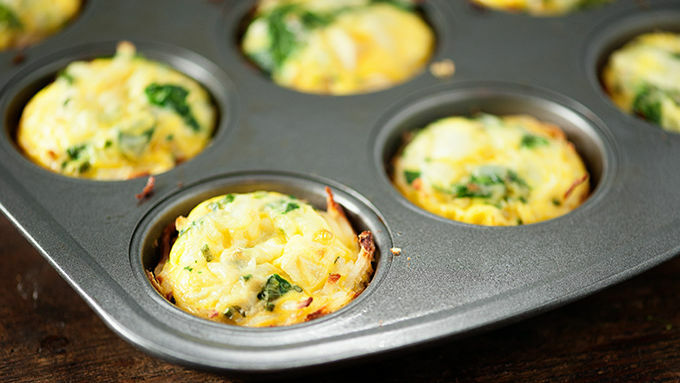 Spray a 12-cup muffin tin liberally with non-stick cooking spray. In a medium bowl, combine the hash browns and flour. 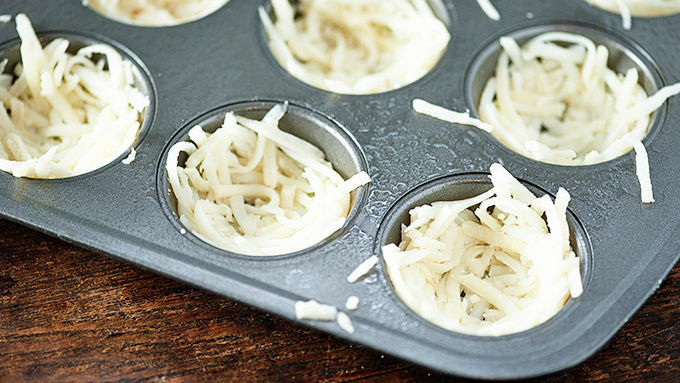 Press the hash browns evenly between 10 muffin wells to form the crust. Bake for 15 minutes or until the edges are beginning to brown. 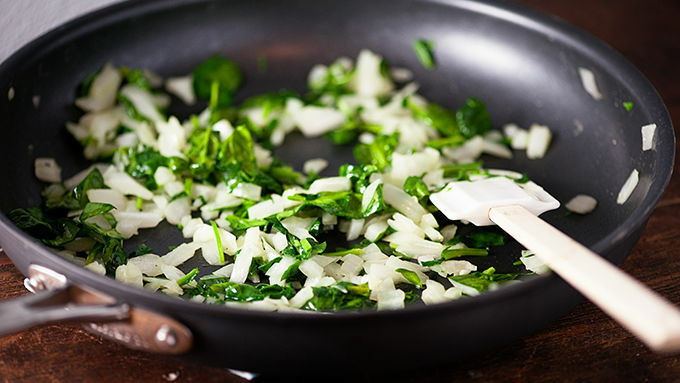 While the hash browns are baking, dice the onion and chop the spinach into small pieces. Heat a large nonstick skillet over medium heat. Add the olive oil. When the oil is hot, add the onions and cook 5 minutes, stirring often, until softened. Stir in the spinach and continue cooking for 2 minutes or until wilted. 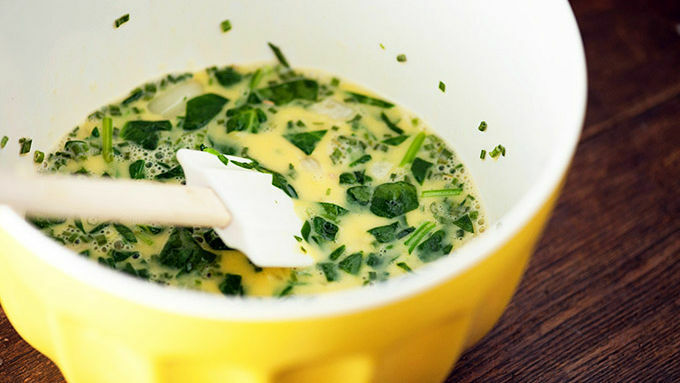 In a medium bowl, beat together the eggs and milk until frothy. Stir in the cheese, salt and pepper. Add in the onion and spinach. 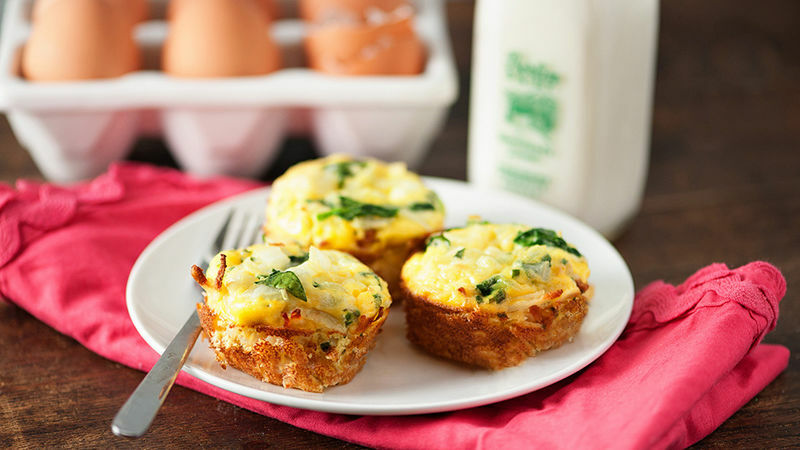 Remove the hash browns from the oven and pour the egg mixture evenly into each muffin well lined with hash browns. Return to the oven for 15-17 minutes or until the quiche has set and the top is still a little moist looking. Run a butter knife around the edges of each quiche to loosen and remove to a plate. Serve warm or at room temperature. 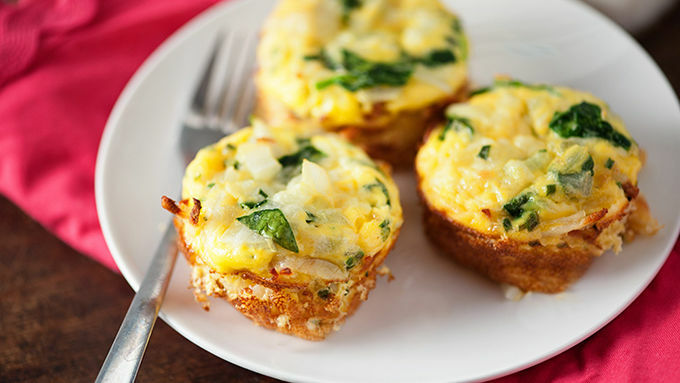 Mini Potato Quiche Cups are a bite-sized bundle of breakfasty goodness. Bacon, eggs, and veggies are nestled in a hashbrown crust for a grab and gobble brunch treat. Is it breakfast time yet? Because I don’t know about you, but I’m currently in this weird phase of my life where I want breakfast all of the time. I used to skip breakfast or (weirdness alert) eat tacos or burgers for breakfast. I was never a breakfast food kind of person. Now? Gimme those eggs. Gimme that bacon. Gimme all your quiche cups. Yes. 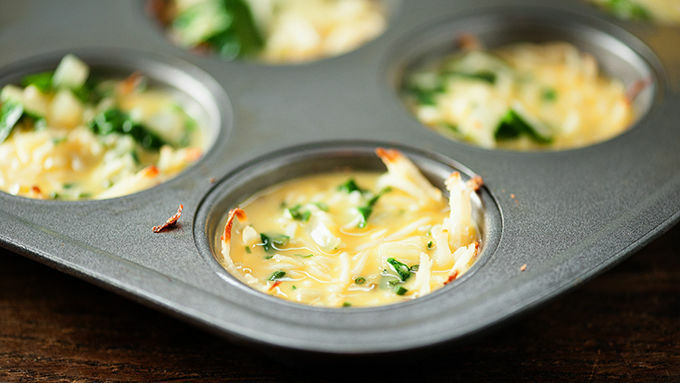 Quiche cups. With a hash brown crust, because Lord knows we need more hash browns in our lives. You've probably heard that you should squeeze out the excess moisture from hashbrowns. Well, here's a secret trick: mix the hash browns with an eensy bit of flour. This is my lazy pants version of squeezing the water out of hash browns...soak it up with flour instead. Please don’t tell Alton Brown about this, k? So simple, mix, bake, and devour! You'll want to make breakfast anytime, day or night!